I don't know about you, but I'm a bold lip kind of girl. I love wearing bright pops of pink, red, purple, and coral on my lips! It's so playful and fun. 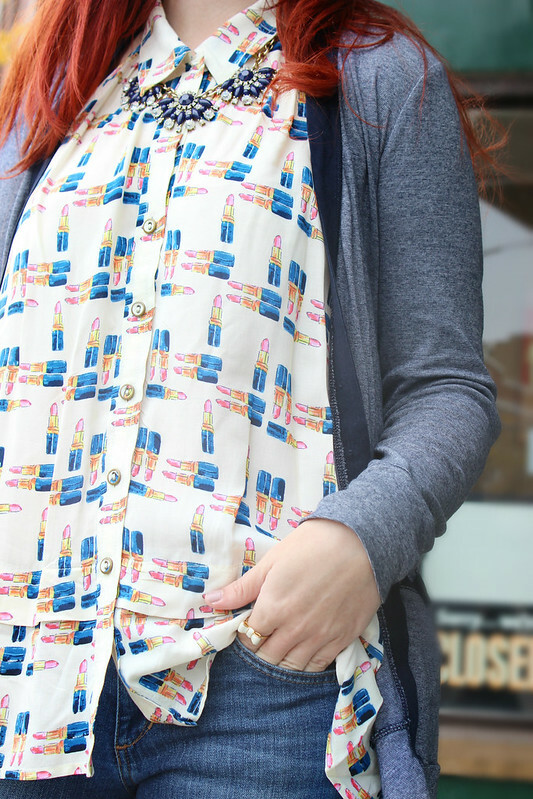 So naturally, I fell in L-O-V-E LOVE with this lipstick tank from Anthropologie! The best part is that it is on sale for under $20! I love how long this tank is. 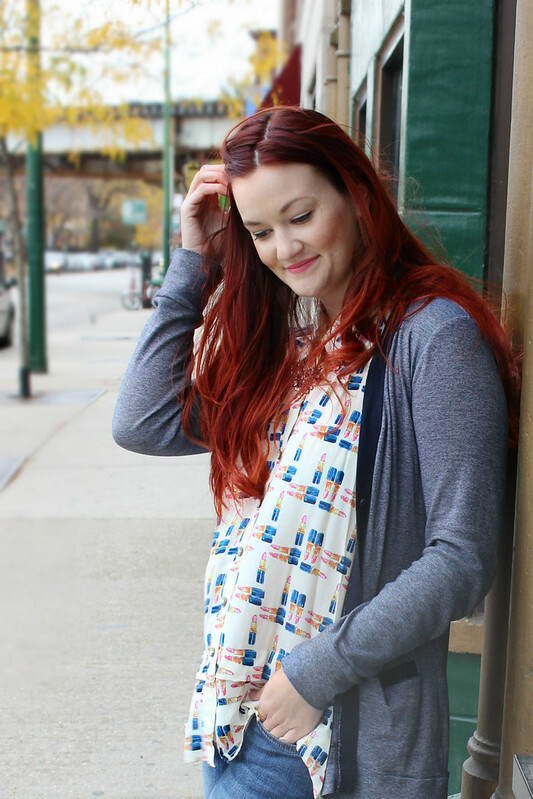 It will look so cute tucked into a skirt when it gets warmer outside for Spring and Summer. How cute is this little bow ring? It's so feminine and fun. It's from the Kate Spade outlet store and was only $12! They don't have much like it in the regular store right now, but if you get a chance to swing by one of their outlets...you HAVE to! They have so much adorable jewelry there and a fraction of the price for the regular Kate Spade shop. 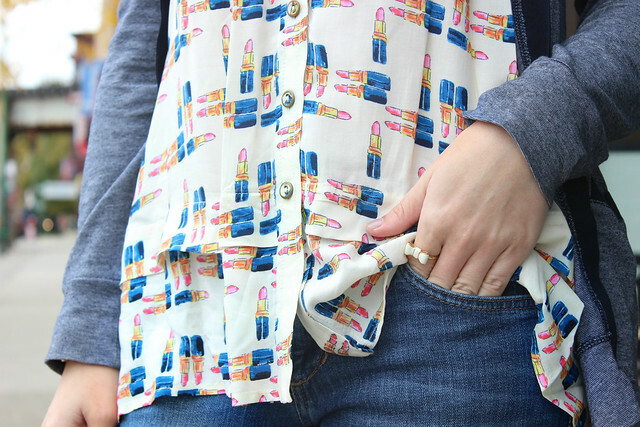 I wanted to pop our the pink and blue colors of the lipstick print. 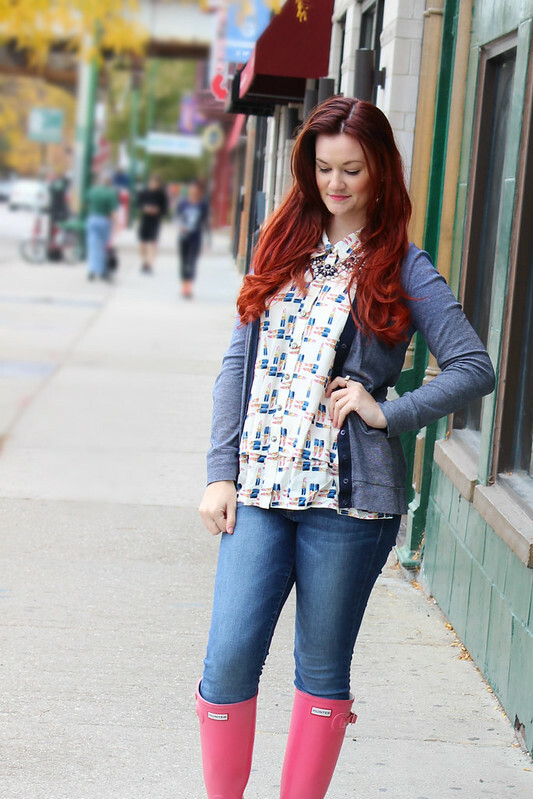 I added this varsity style two-tone blue cardigan from J.Crew factory (2 years ago) over the print. It's seriously so soft! It's one of those pieces that is going to continue to be in my closet for years to come. 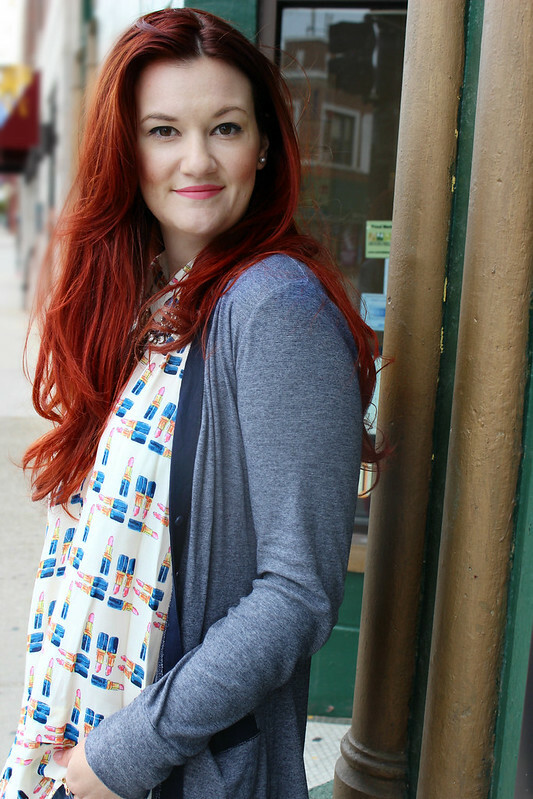 The soft blues of this cardigan really make the blue lipstick casing stand out. And of course, on a rainy day I had to throw on my bright pink Hunter rain boots! 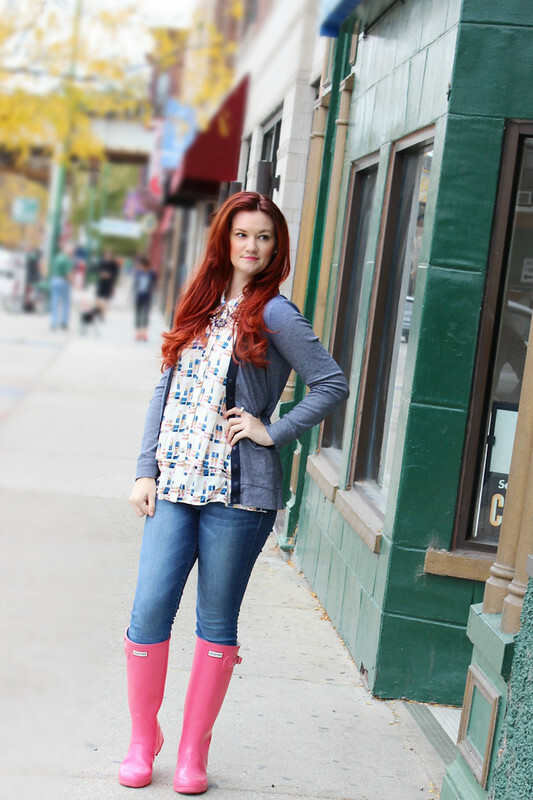 The vibrant pink color of the boots really make the pink lipstick pattern pop!